UAE-based conglomerate RُELAM Investment has acquired the exclusive rights to the brand of Casual Dining Group, the owner of Las Iguanas, Bella Italia, and Oriel Grande Brasserie in the UAE. 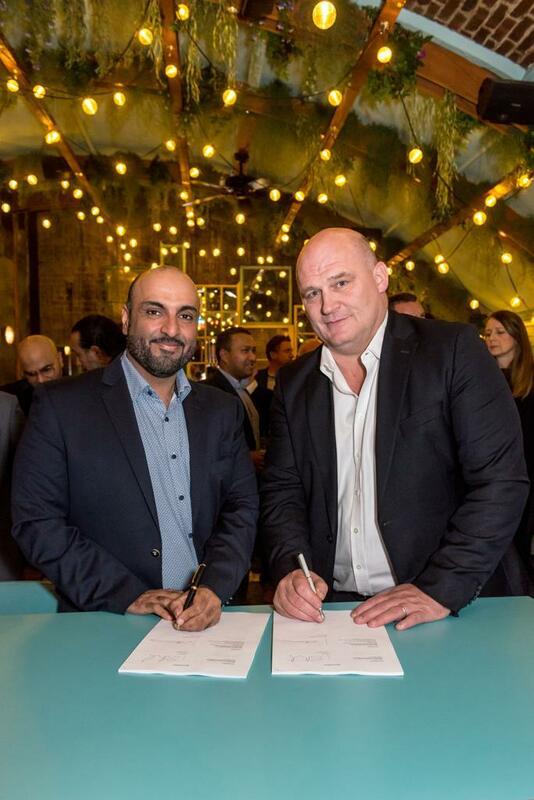 Signing the franchise deal was officially announced during a launch event attended by both parties at Las Iguanas, Royal Festival Hall, paving the way for RELAM Investment to open 11 restaurants in the UAE over the next four years. Casual Dining Group (CDG), the operator of nearly 300 mid-market restaurant brands including Café Rouge, Bella Italia and Las Iguanas, has agreed a new franchising deal for its Las Iguanas, Bella Italia and Oriel Grande Brasserie brands in the United Arab Emirates (UAE), where the partners are currently looking at several high-profile locations in Dubai for the debut site, and are also keen to explore opportunities in Abu Dhabi for further openings. The deal sees the first ever franchise for Oriel Grande Brasserie, CDG’s premium all-day restaurant concept, that currently operates three sites. All of these are at airports, meaning travellers can indulge in luxurious and timeless French inspired dishes crafted by chefs in an open kitchen. While the food across all of the brands will be reflective of their UK counterparts, all of the sites will be ‘dry’, but will serve a range of specially created mocktails which were showcased on the launch night. Steve Richards, CEO, Casual Dining Group, said: “This latest agreement clearly demonstrates, once more, our ambition to gain a foothold in foreign markets, taking key learnings from the UK and applying them in other countries. We’re much more than just high street operators and our businesses is diversifying as we seek new ways to utilise the expertise across our business. “Finding the right franchise partner is crucial to ensuring our brand standards are met overseas. Naturally we are delighted to work with RELAM Investment, who know how to run exceptional venues, and understand our business.